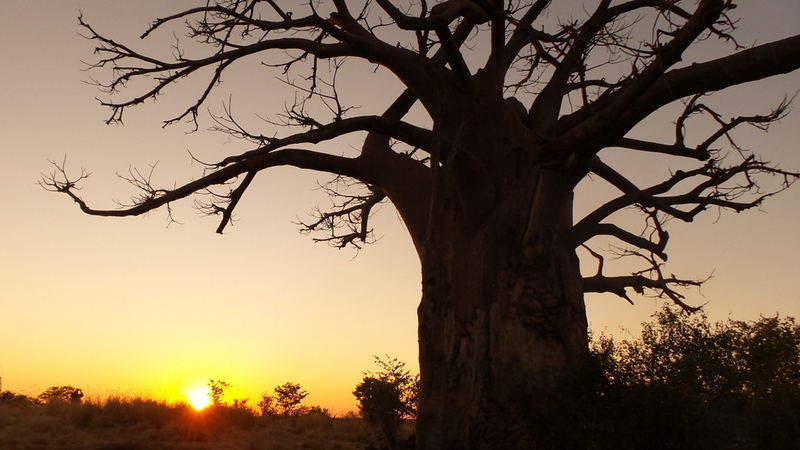 This trip came about after I discovered Trans Africa Tours on Facebook . I liked all the positive comments about them and also where they were planning to go. I made contact with Marlene and she replied almost immediately. I paid the deposit required to reserve our place (they only take a maximum of 5 vehicles) , and started counting off the days. 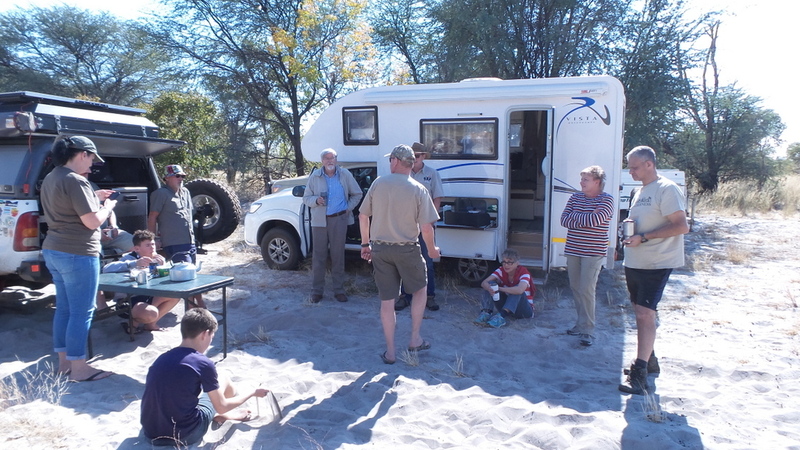 While I have never been a fan of guided tours , the sad fact is that our group of overlanders has dwindled down to just ourselves and Patrick and Nick . People have emigrated , some have passed on , some have developed health issues , and the rest have had a change of circumstances that mean they are no longer able to travel.But enough of that. 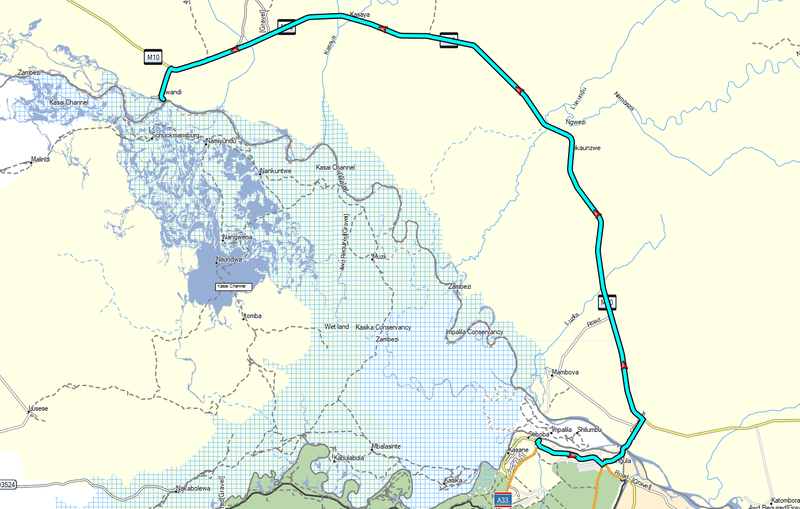 We were originally meant to meet the group at a campsite just past Baltimore on Wednesday 27th . I was getting a really good feeling about the group , based on the chirps on the WhatsApp group that Marlene had set up a week or two before due date . Unfortunately one of our fur kids , Caesar had to go in for an emergency operation the Sunday before our trip was meant to start. He is always very mopey when we go anywhere , and normally won’t eat for the first day or 2 . We needed to make sure that he was eating , as his operation was on his stomach and small intestine to remove a blockage. With this in mind , we decided to leave only after we where sure that he was eating. I let the guys know that we would play catch-up by Friday and was very touched by the well wishes and sympathy expressed by all . We decided on a fairly late start , as we wanted to make sure that Caesar ate, so we left home just after 9 . We cleared Groblersbrug Border in record time on both sides. The original idea was to try reach Woodlands , but I had to first go see a customer in Marble Hall , which took more time than I originally expected. 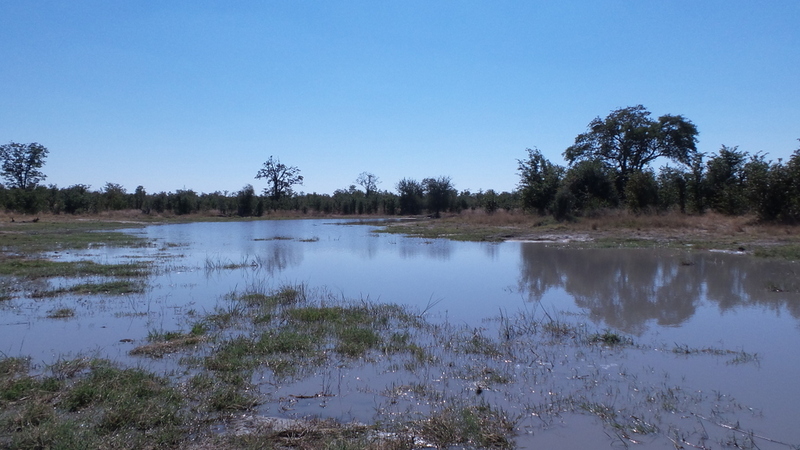 We didn’t want to stay in Palapye , which was always Plan B , as I’m almost sure that both of my previous malaria bouts originated there , so we decided to keep going and see if we could find somewhere new close by . 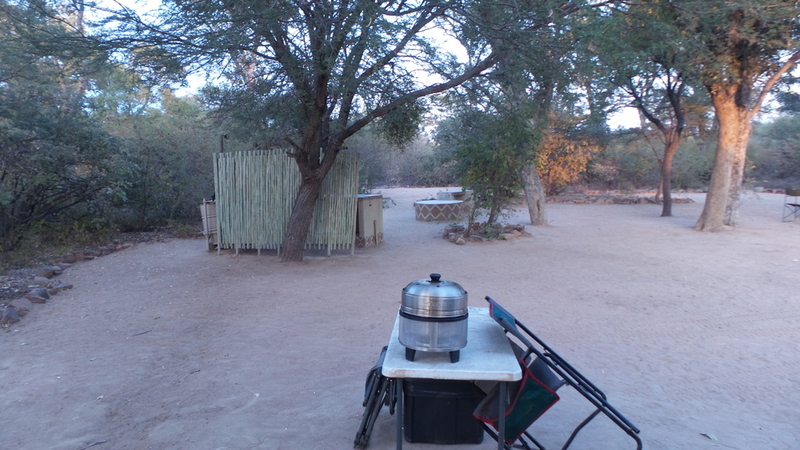 Just after leaving Palapye we saw a sign for Moremi Gorge Campsite which was only about a 40 km detour , so we decided to give it a try. We arrived after dark , and had to wait a while at the entrance gate while they checked if the had any space. 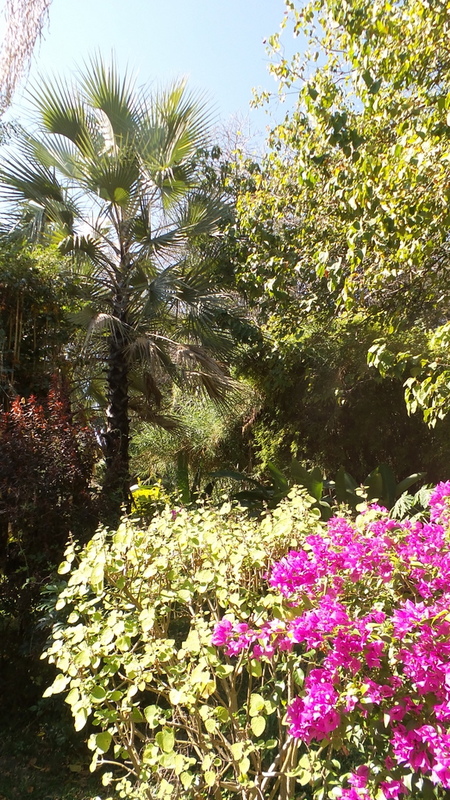 After a couple of false starts we found our way to our site and were pleasantly surprised. 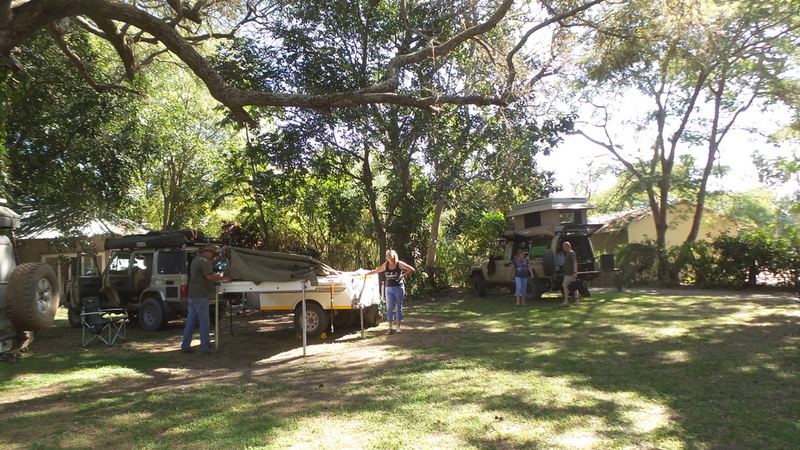 Granted it was expensive , coming in at P470 for one night , but the facilities were awesome , with a huge private campsite complete with it’s own ablutions , kitchen area and a large braai and table . 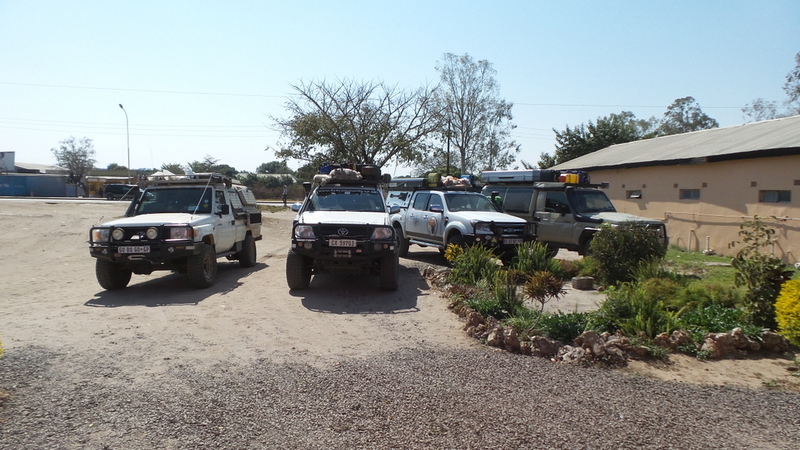 We had a fairly early start and headed towards Francistown where we filled up with fuel . It worked out to over R3 a litre cheaper. 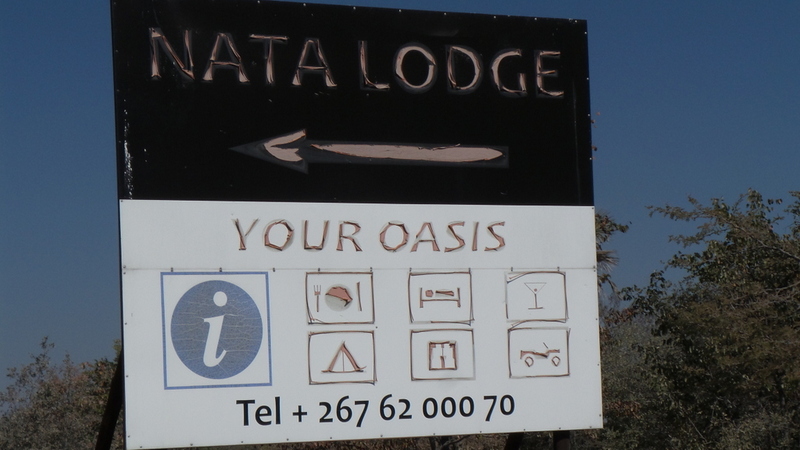 Next we headed for Nata Lodge where we stopped for lunch . I was surprised by the amount of British tourists there . After lunch we headed for Elephant Sands , arriving just after 3 , and meeting up with the rest of the group . We spent the rest of the afternoon chatting and getting to know each other (kinda like speed dating) . 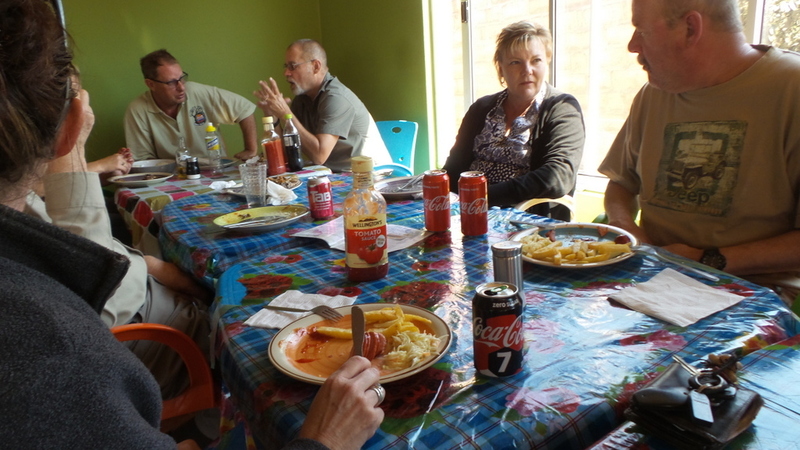 Marlene had booked us all in at the restaurant for supper , and it was a really good meal . I have been very vocal in the past about what a dump Ellie Sands had become , but I must now say that it was a really enjoyable experience and everything has vastly improved. 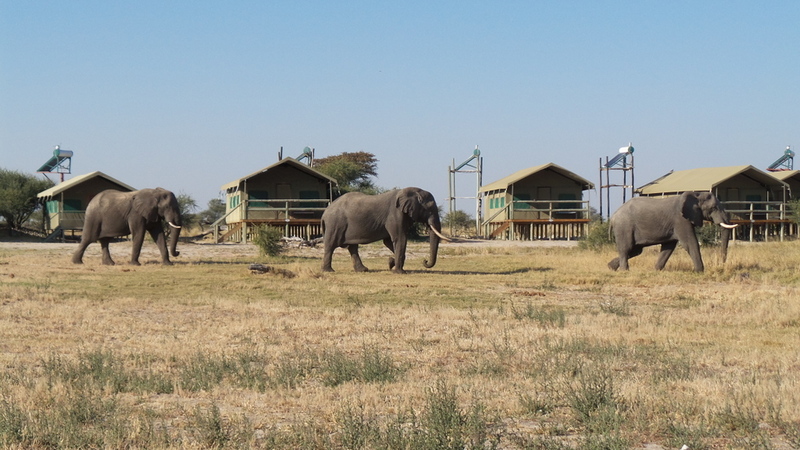 It was very full and there are a whole lot of new chalets , so they are obviously doing well for themselves, It was great to watch the ellies at the waterhole and to also have them walking through the campsite . Again there were a large amount of British tourists present . 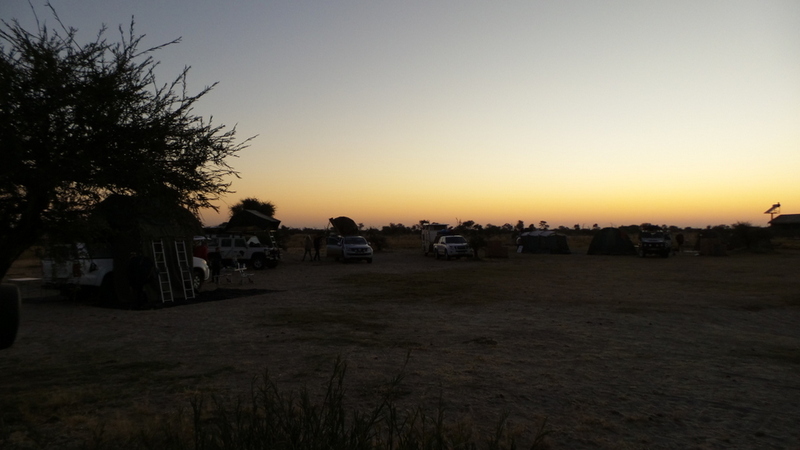 After supper we returned to the campsite and sat around the fire before retiring for the night . We left Ellie Sands at 8 AM for Hunter’s Road. We skipped our usual entry point ,just past the vet fence because it was apparently badly overgrown and entered higher up, above 2 Trees Pan. This meant we also missed the initial thick sand , which was good , as I was a bit worried about Rusty’s camper van making it up there . On the whole it was pretty easy going , and we stopped from time to time for lunch etc. 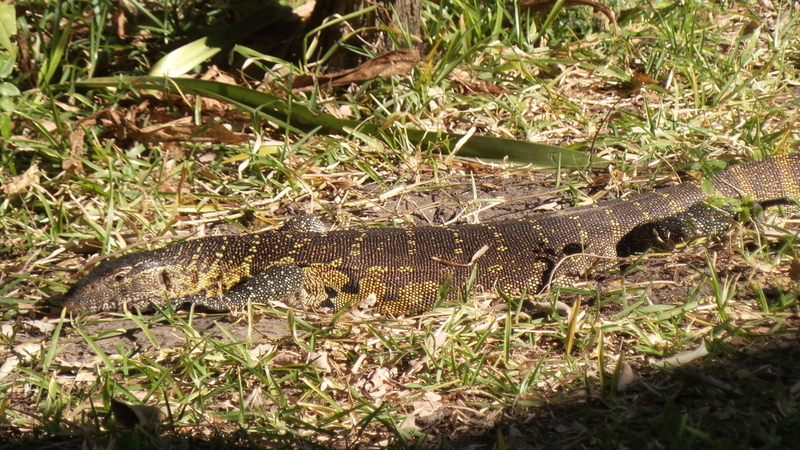 , but I was disappointed at how little wildlife we saw. In fact it’s the least I’ve ever seen on Hunters . Not sure if it was a timing thing , or a sign of change . The only real issues of the day were a flat tyre on Erik’s trailer and George’s car wouldn’t release the rear locker , but both were quickly rectified and we continued on our way. 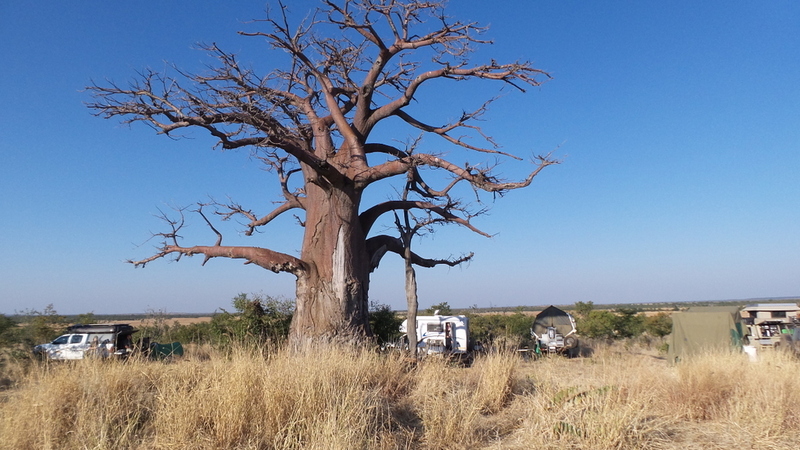 We arrived at our campsite for the night at a big baobab on a low hill , that nonetheless still offered a great view of the surrounding area. Again we spent the night around the campfire . 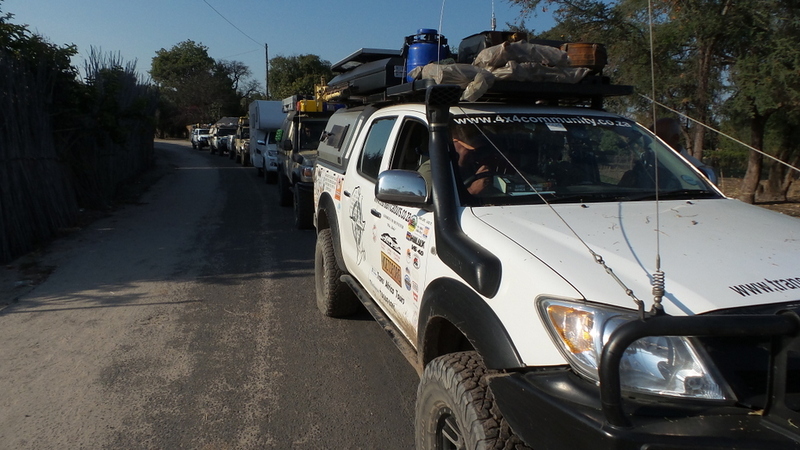 We left at our usual 8 AM continuing along Hunters with a brief detour into Pandamatenga for breakfast at the truck stop by the Engen garage . Unfortunately they were out of almost everything , so we made our own food and then headed back onto Hunters to see if we could get go through Kazuma Pan.However the pan was still full of water , so we backtracked a bit to the previous cutline and bypassed the pan on the tar road before taking the next cutline back onto Hunters. 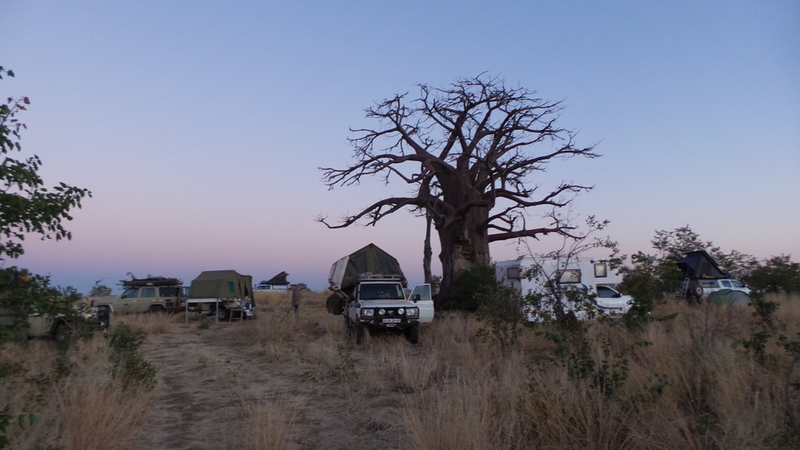 We stayed on Hunters until Kasane and then headed for Thebe Lodge where we were to spend the next 2 nights. 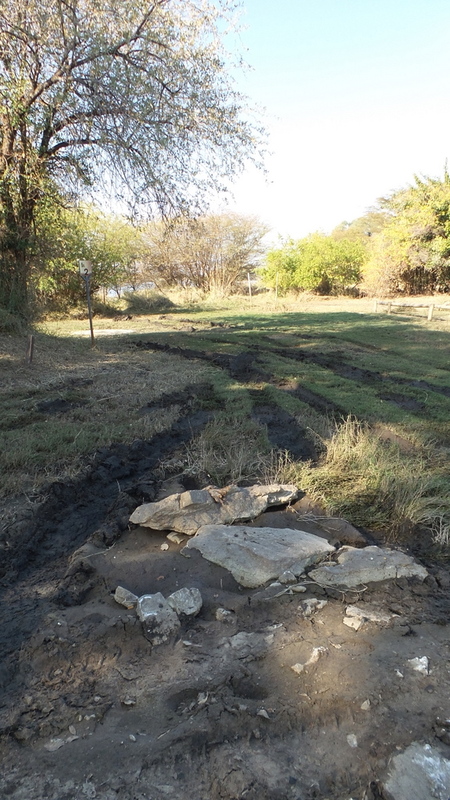 When we arrived there we were told that the camp had recently been flooded and that our campsites were still wet . 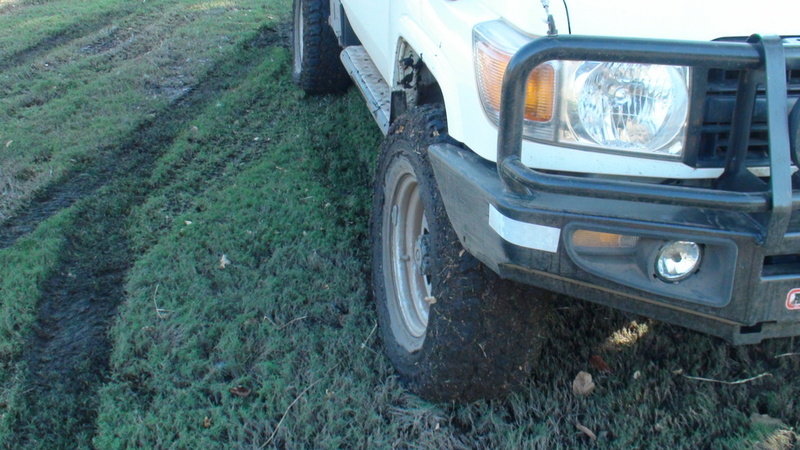 I drove onto the first one , and had to use low range for the first time on the trip to avoid getting stuck . 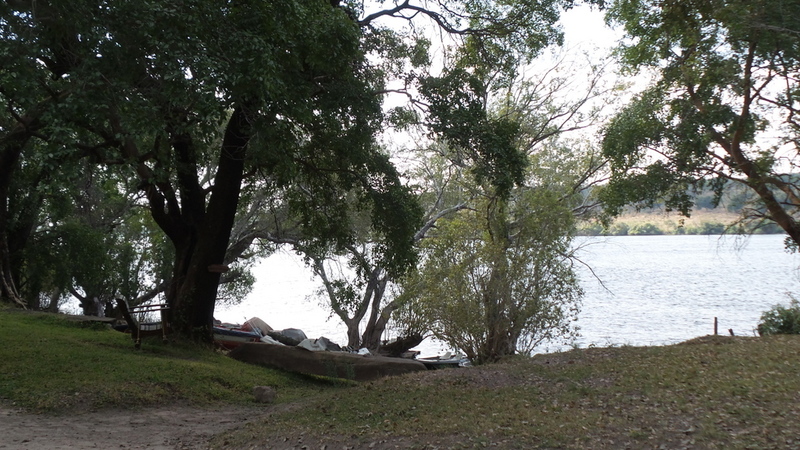 I reversed back off the site and we were given one of the neighbouring sites for the night. 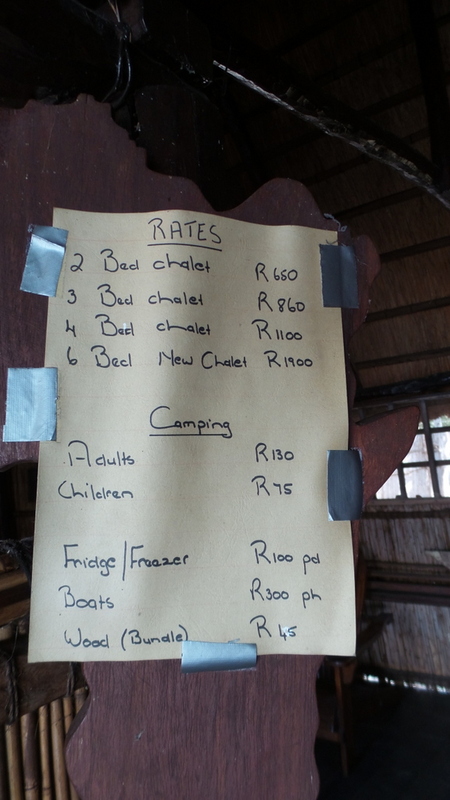 We were told that new camp policy was the couldn’t book more than one night at a time and would have to come back the next day to book for the following night. 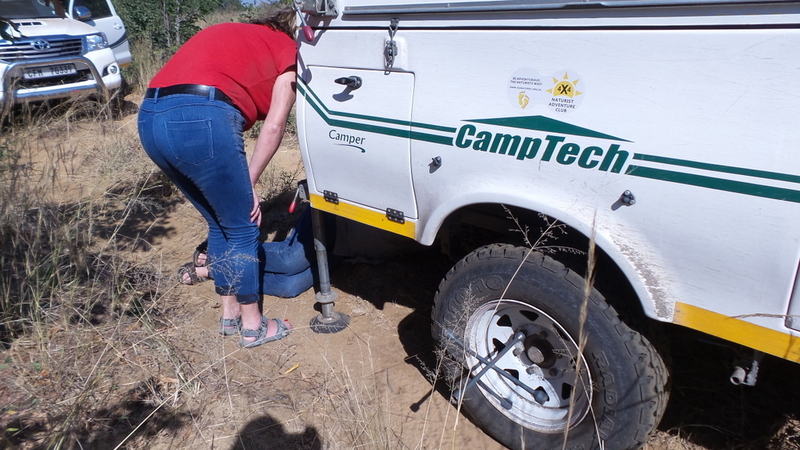 After fixing Annatjie , George then spent a bit of time fixing the back of Rusty’s camper where it had taken a bit of a knock earlier in the day. Most of us spent the day doing various catch up and fix up tasks in Kasane. 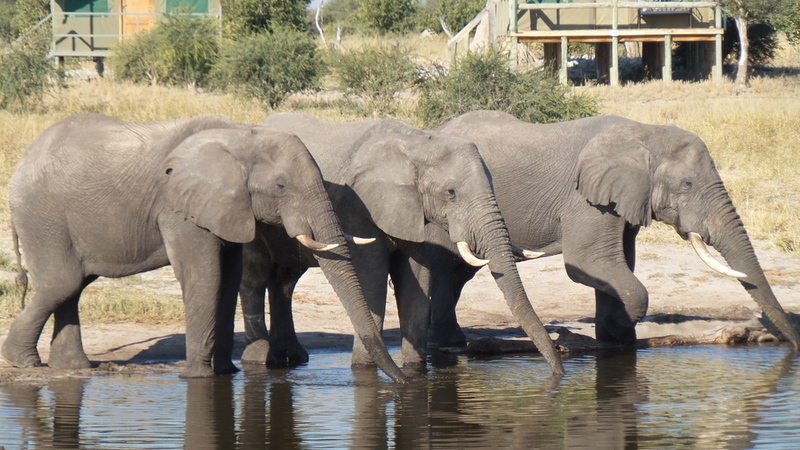 We all also made sure to refuel before Zambia . 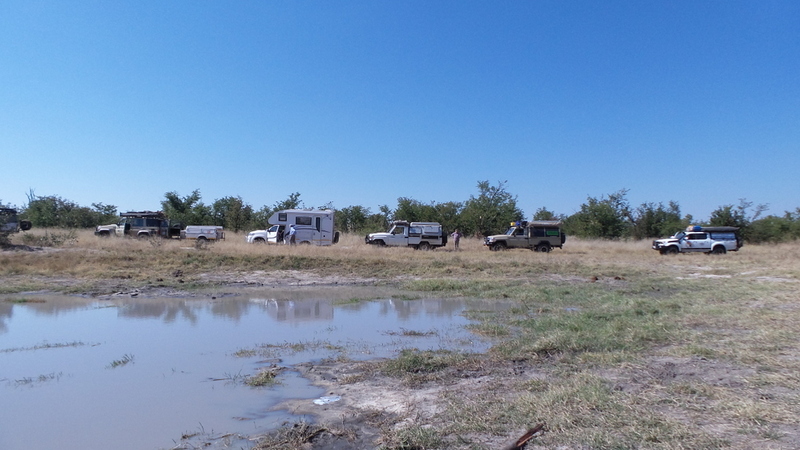 We were told that we couldn’t rebook the campsite we where in and had to move back to our old flooded ones. 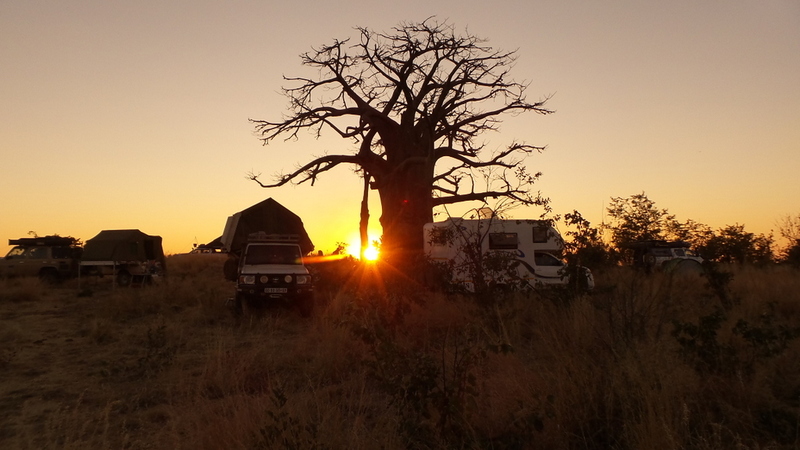 When Marlene queried this she was told that the site had been pre-booked by an overlanding company. 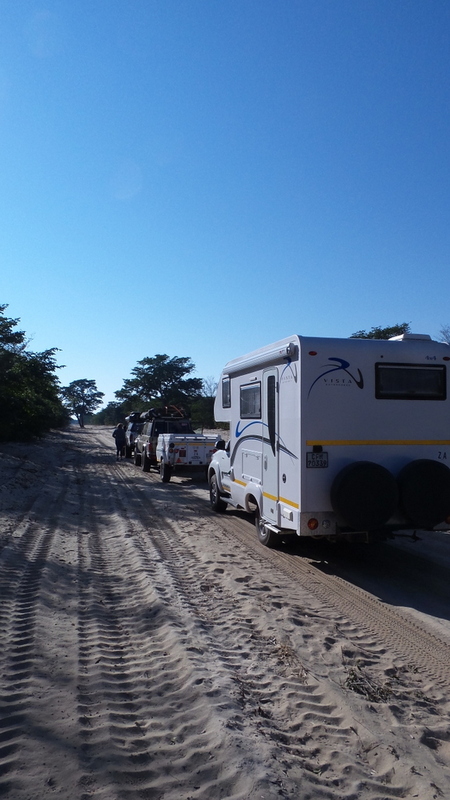 When she mentioned that we were told that we couldn’t do pre-bookings , the answer was that they allowed overlanding companies to pre-book but not private people. In the afternoon , most of the group went on a booze cruise which we decided to skip as we have done it so many times before. This turned out to be a mistake , as they saw a leopard take a baboon out of a tree , and also some crocodiles eating a buffalo in the river. 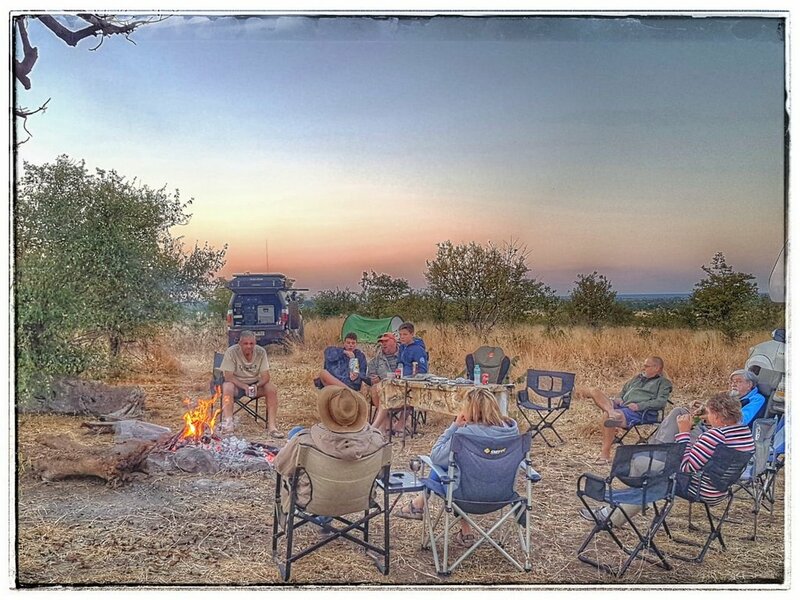 The evening ended with the usual communal braai . 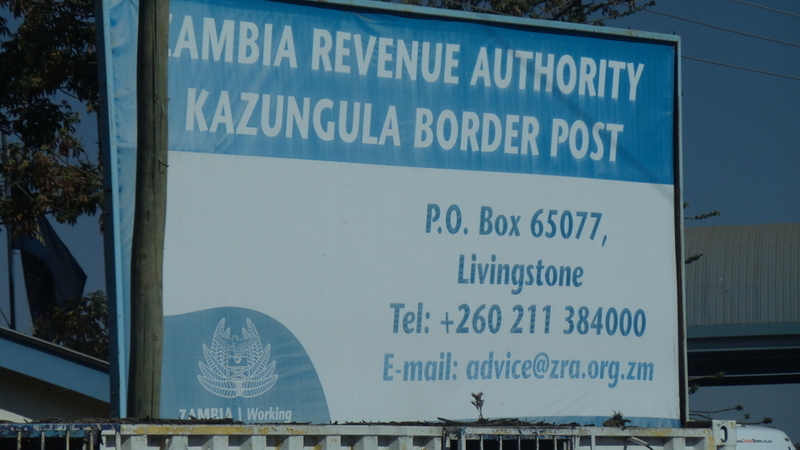 We left at 7.30 as we had the joy of Kazungula Border Post looming. 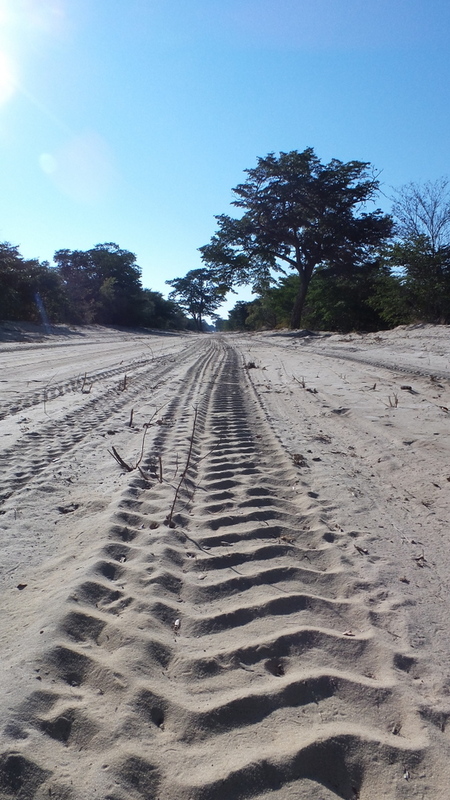 As usual we cleared the Botswana side very quickly and then we where onto the ferry in a couple of minutes as well . 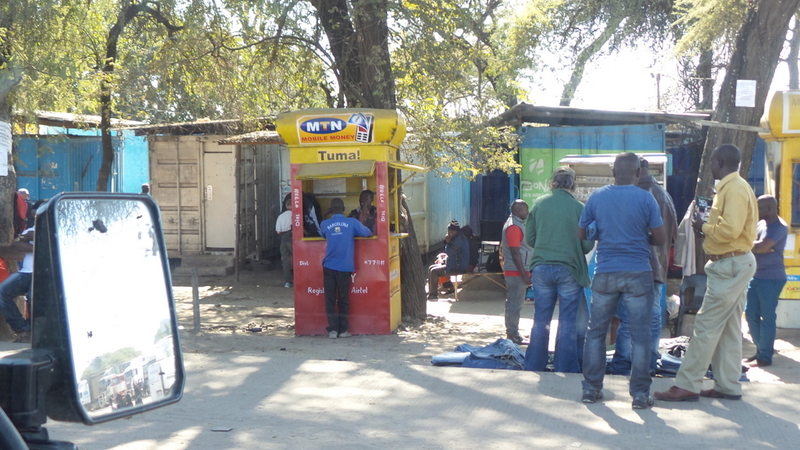 The Zambian side took about 2 and a half hours , and then it took us about another hour to sort out local sim cards for all that wanted .Data is incredibly cheap in Zambia on MTN , with 5 Gig only costing K100 and K10 for the card . Coverage was pretty good over the whole of Zambia and I would definitely recommend a local card as it is so much cheaper than roaming. All you need is a copy of your passport to activate it . 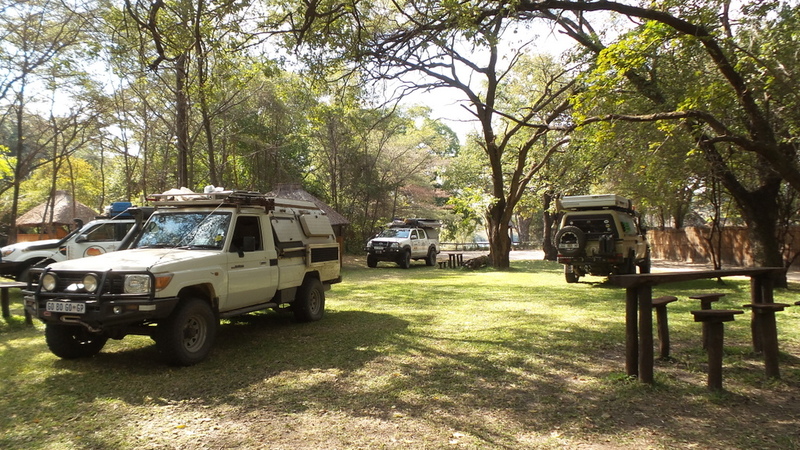 Mwandi Camp is just past the Mwandi Village and is another hidden gem discovered by George. 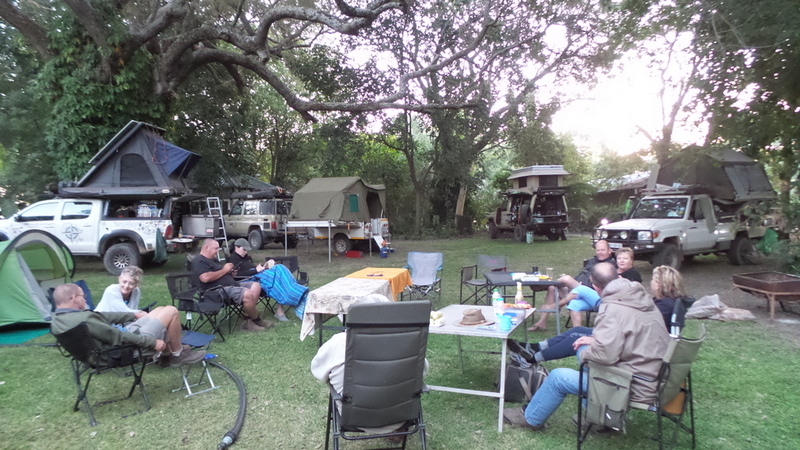 We arrived just before 2 PM and spent a nice relaxing afternoon before the usual braai and fairly early bedtime for all . 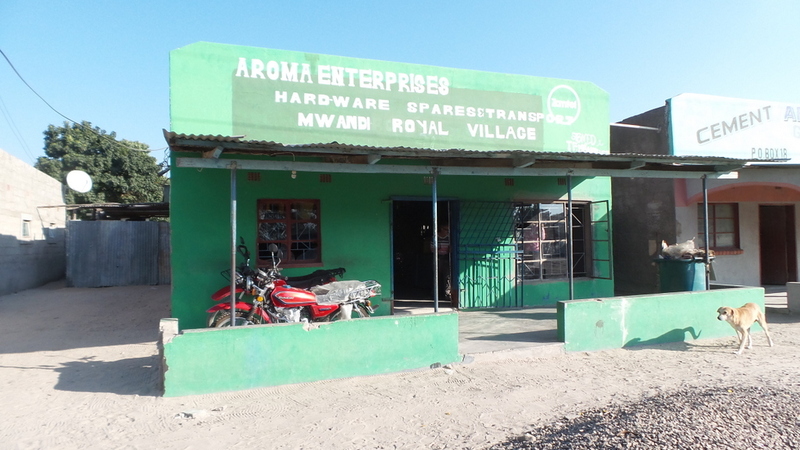 We left at 8.30 and first stopped to do a bit of shopping in Mwandi Royal Village . 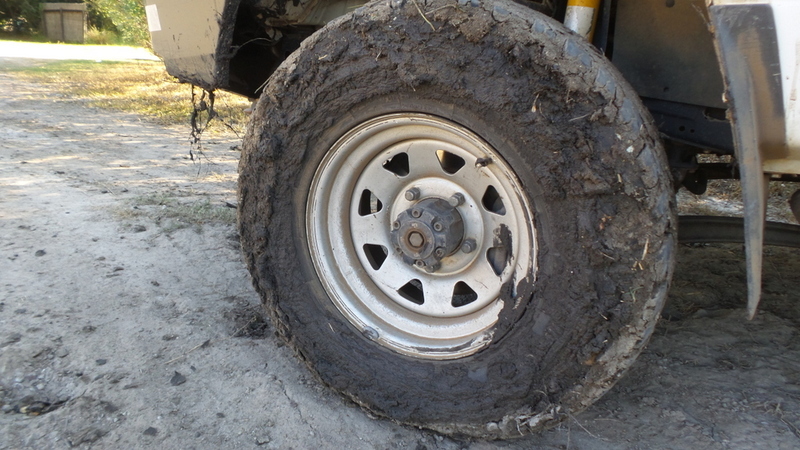 After that we headed towards Sesheke on some of the worst roads that I have travelled in a long time. 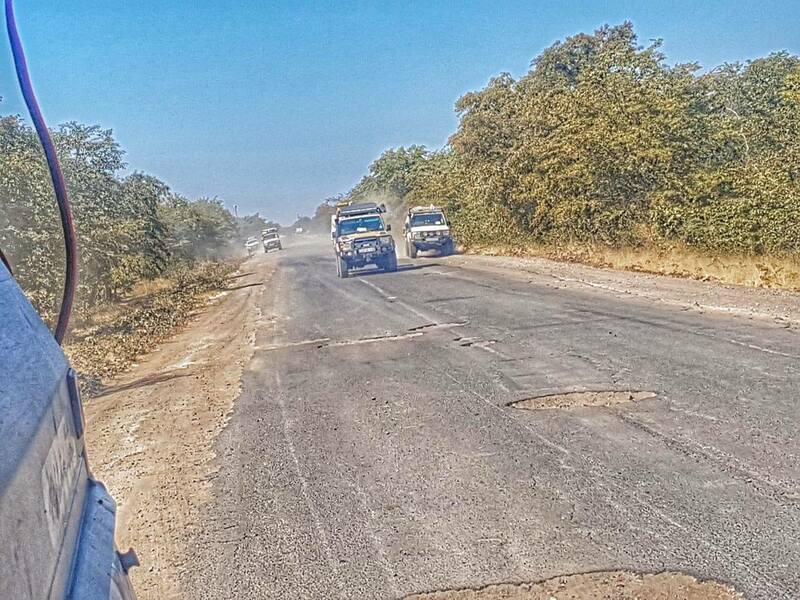 The roads are in use by the copper trucks from up north and they are the primary cause for the bad state of them . For most of the road it was quicker and easier to drive on the shoulder than the road itself . 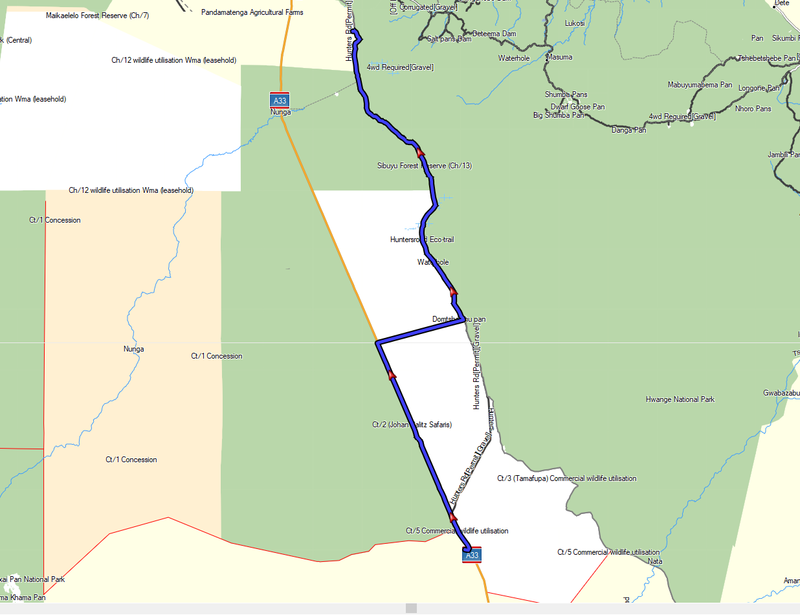 We arrived at Kabula Lodge at about 2.30PM meaning that it took us 6 hours to do 130 km . This was all too much for Elizabeth to handle . 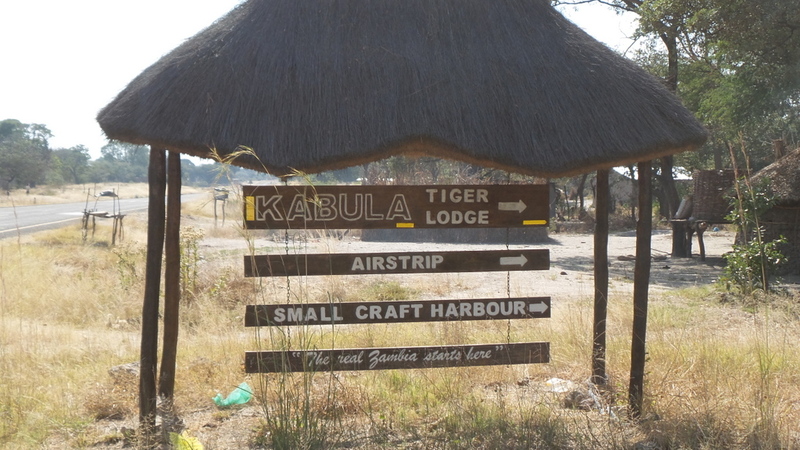 Day 2 at Kabula Lodge. 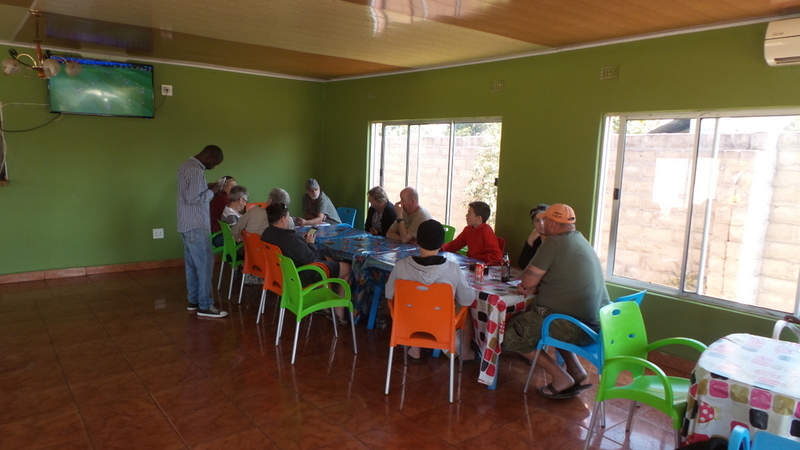 We had a great communal breakfast and then spent most of the day just lazing about. Some of us went for a boat cruise in the afternoon and Geoff managed to catch a tiger which was donated to the boat driver . We had a lovely communal supper and then no prizes for guessing how we ended the day . 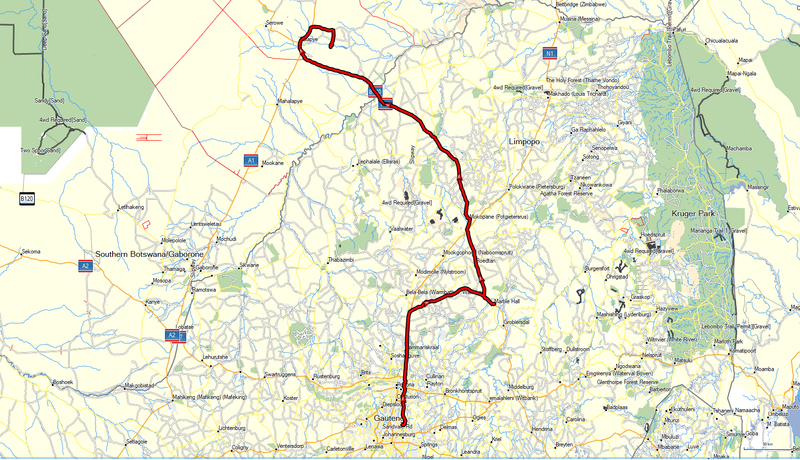 We only left at 9 as we had a very short distance today – only 82 km. We stopped off at the Ngonye Falls first . They were a bit higher than last time we were here , as the river wasn’t as full . 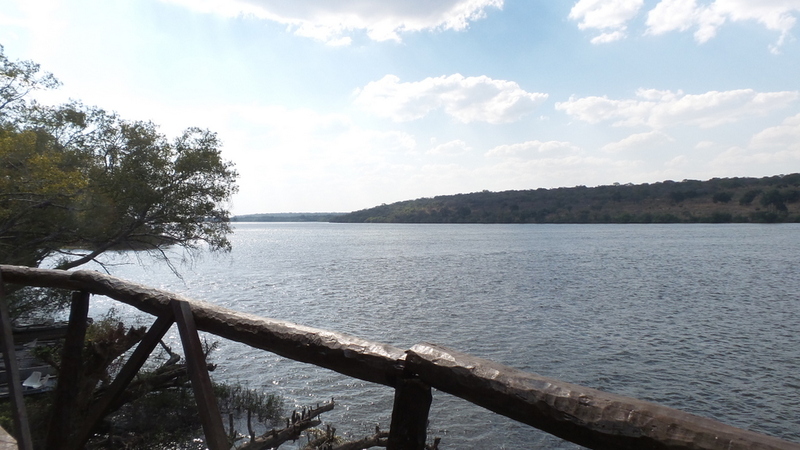 We then drove through to the Ngonye River Camp which has some awesome views of the river. 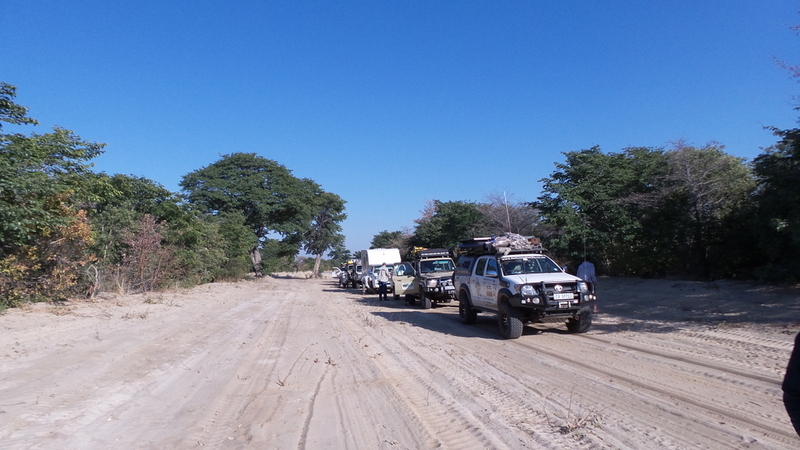 We left at 8 , destination the town of Mongu to do some shopping and then to see where we could find a place to stay , as there weren’t any known campsites in town , which was quite strange considering the size of the town. 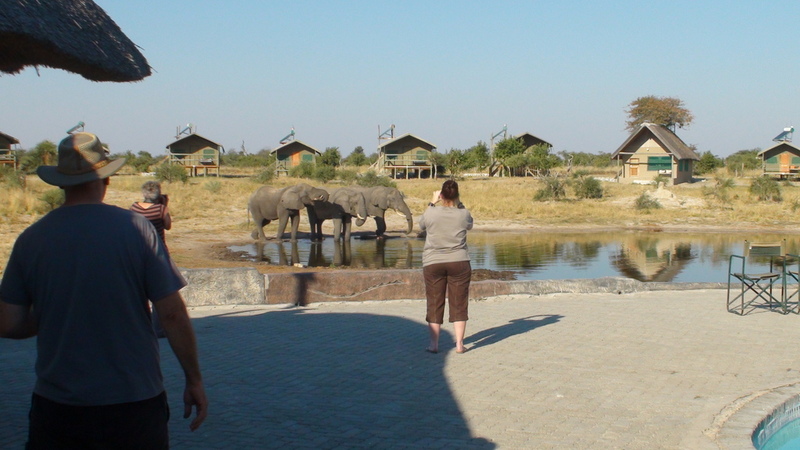 On the way , we stopped for breakfast at the Senanga Safari Lodge named after the town of Senanga . 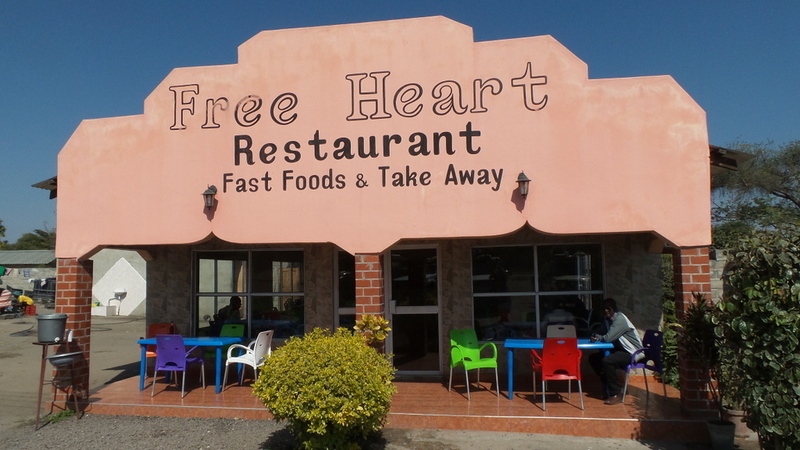 Upon arrival in Mongu we headed for the local shopping centre which had a Shoprite and various others shops like Hungry Lion . After spending about 2 hours there , we headed for the local Puma filling station , which was the only one in town that took credit cards to all fill up for the next leg of our trip . On the whole I found Puma to be the best stations , both from a facilities point of view and also they all accepted credit cards . As we were leaving town , we discovered Acamm’s Gardens Lodge , that had a very nice setup with chalets etc but no actual campsite. George however managed to get a place in one of the parking areas and they opened up one of the chalets for us to use the toilet and shower. In addition to that , the bar area had a weird glass screen on one wall which was showing some strange activity in which grown men were running around in their underwear kicking a round ball on a field of grass. 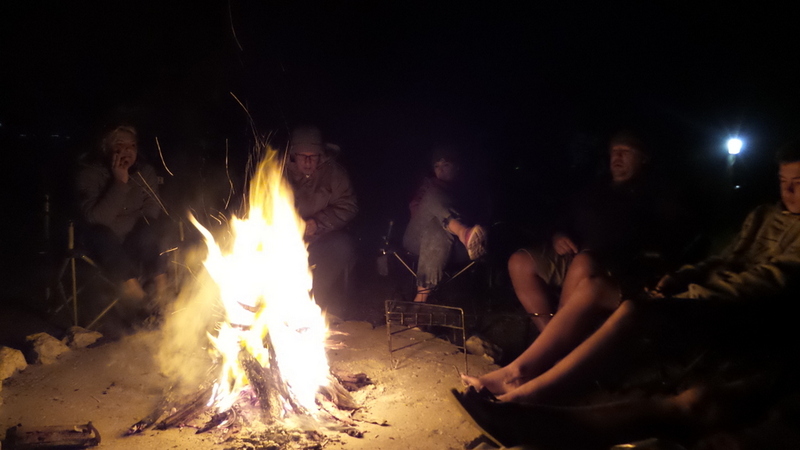 That night , due to our location we did not make a fire (the only night on the trip) , but we still had our usual gathering , with some other unusual activities . 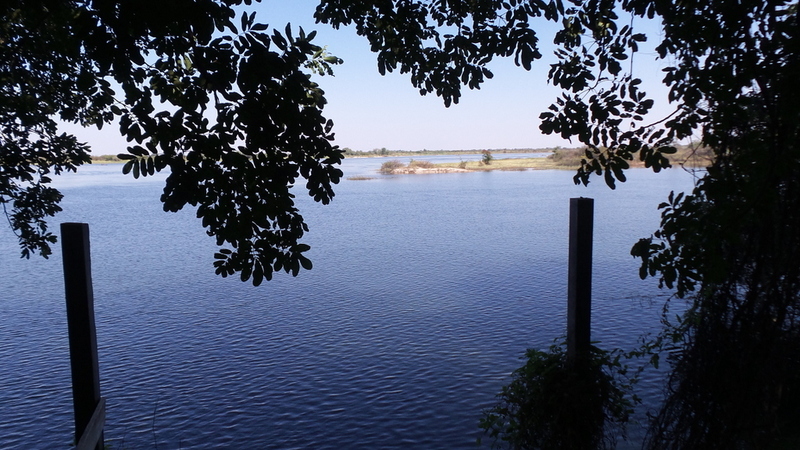 We left at our usual 8 AM and had a fairly easy drive to Roy’s Camp on the Eastern Border of Kafue arriving at about 2.30 PM . 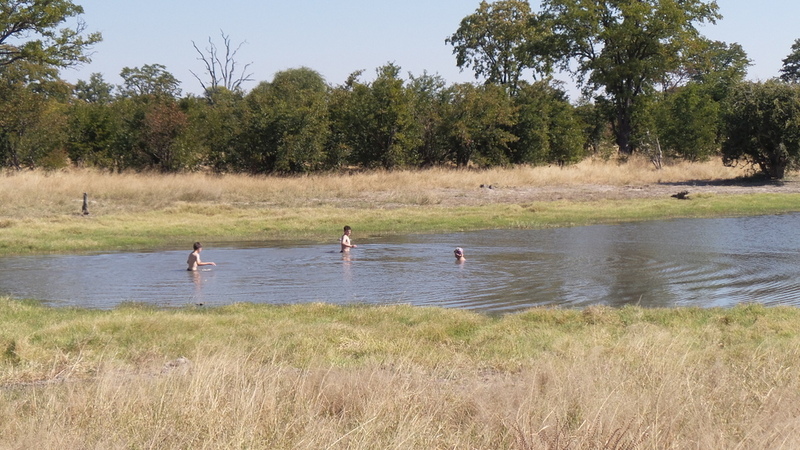 Not longer after getting there we had our first real game sightings in Zambia . 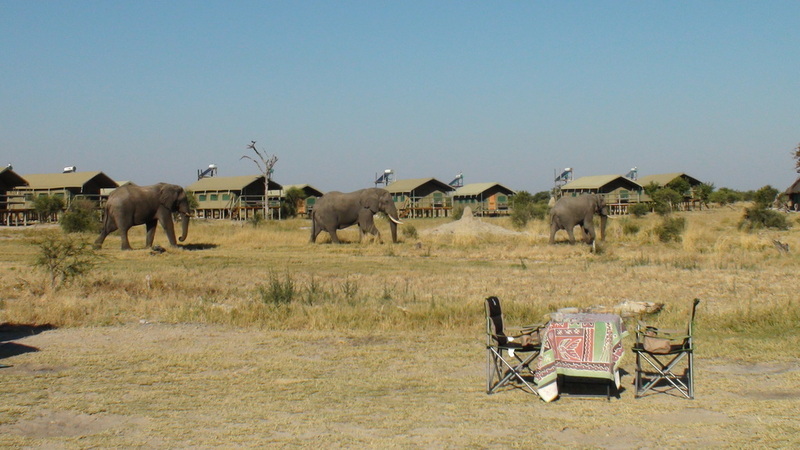 I was planning to go for a run that evening , and was delayed by the ellies coming very close to the campsite. By the time they had moved on it was getting dark , so I decided not to go. Turned out to be a good thing , because a little while later people arriving at the camp said that they had seen 4 lion lying in the road which would have been part of my run. Guess it’s true that if it’s not your time , it’s not your time . 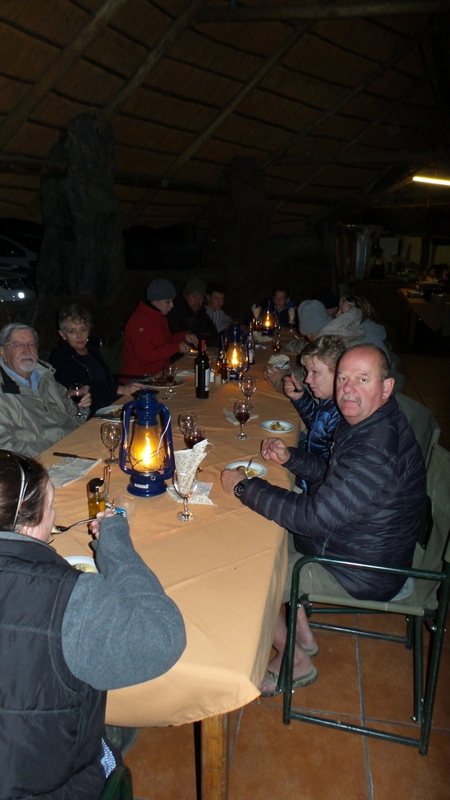 The evening ended in the usual way , with the notable exception of another visit by the ellies and also a hyena. 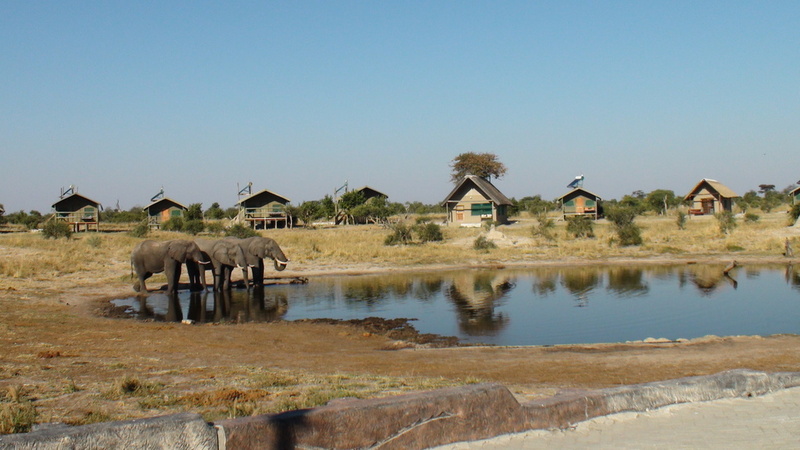 We also heard the lions and the hippo for a good part of the night. Always an amazing way to fall asleep . We left Roy’s Camp just past 9 AM . At first the road was quite bad , but pretty soon it become quite easy , with the only drama being a broken window for Erik caused by a stone bouncing off the trailer. 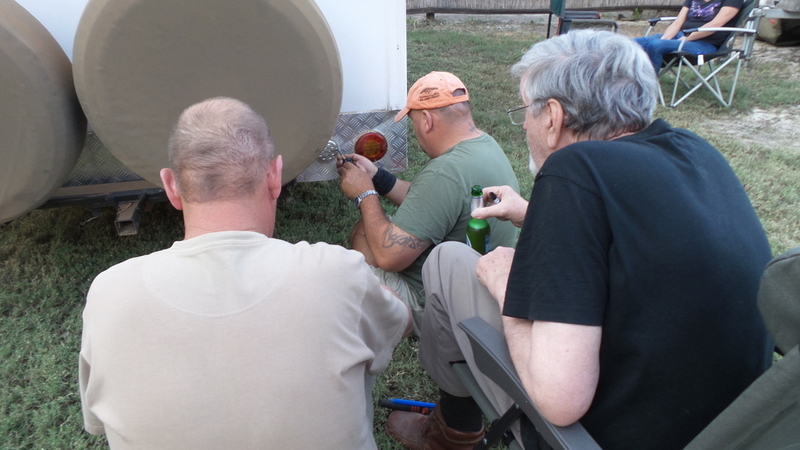 But our resident medic and mechanic soon fixed this as well . 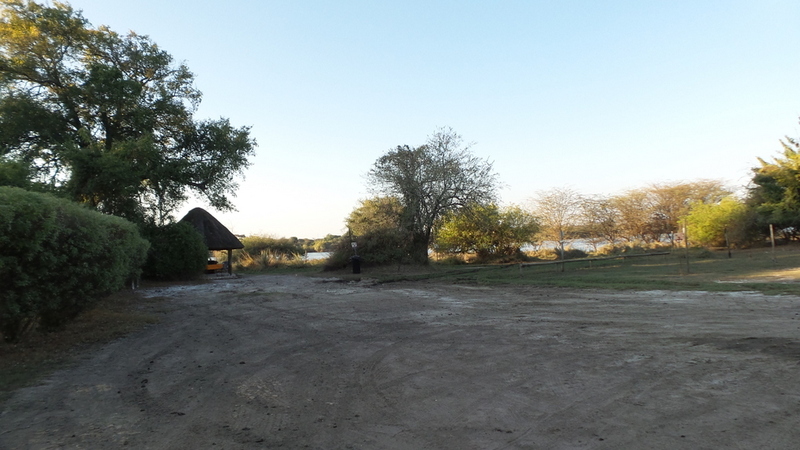 Upon arrival at Itezhi Tezhi we stopped off for lunch at Musungwa Safari Lodge which had awesome views of the lake but unfortunately a pretty crappy campsite . The rigours of the day proved too much for some of the great explorers . 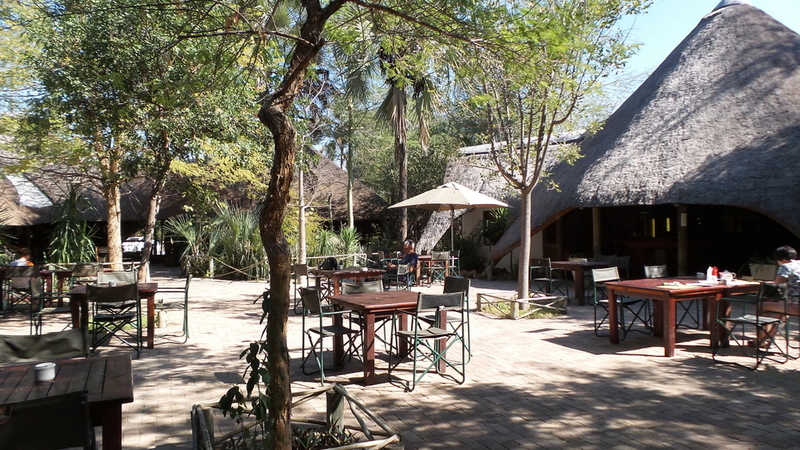 After everybody was suitably rested we headed to New Kalala Lodge which was to be our home for the next 2 days. 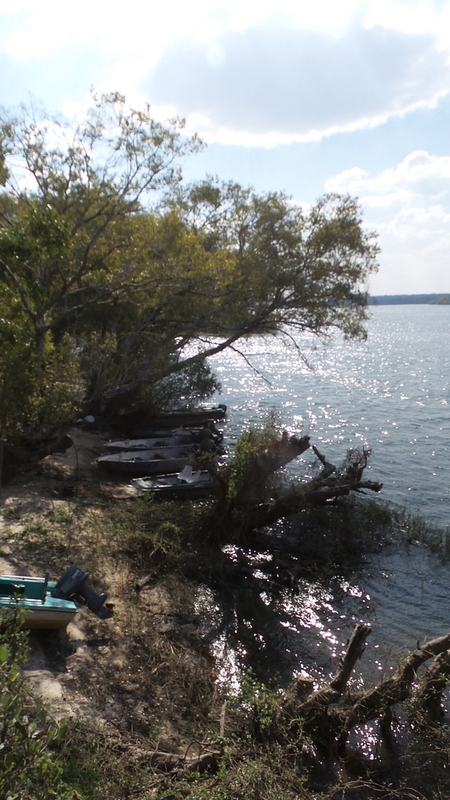 It was easily the prettiest campsite on the trip and one of the best I’ve ever stayed at. Good find George! And yes the day ended in the normal way . 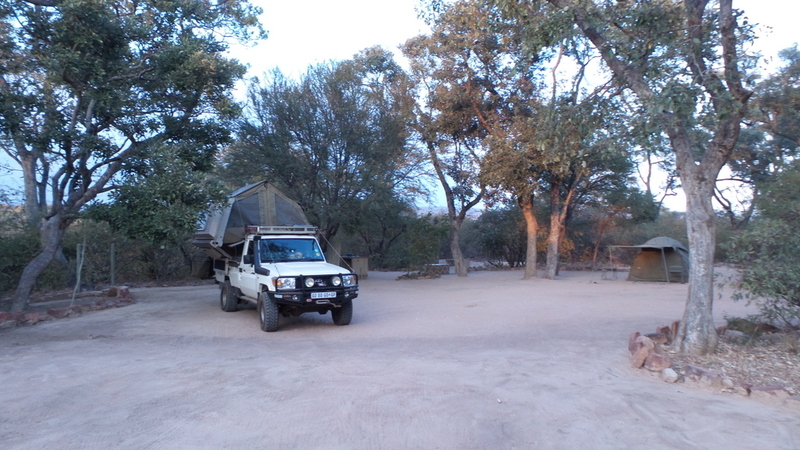 After topping up Rusty’s car we headed out from the campsite at about 8.30 . 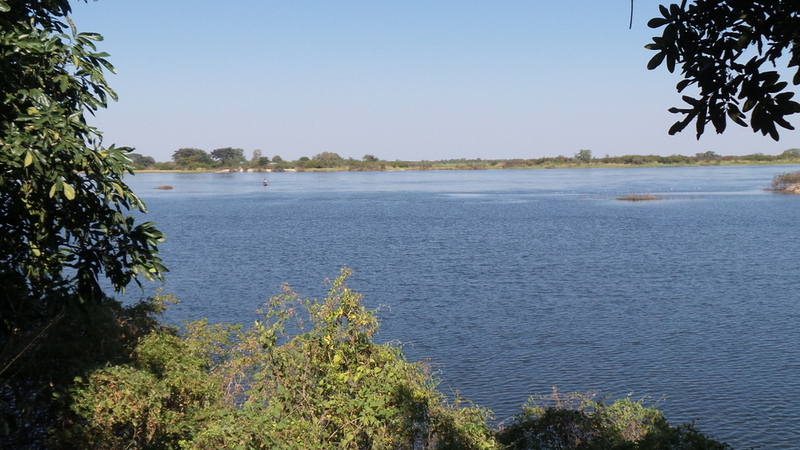 We stopped briefly in town before heading for the Namwala Pontoon across the Kafue River . 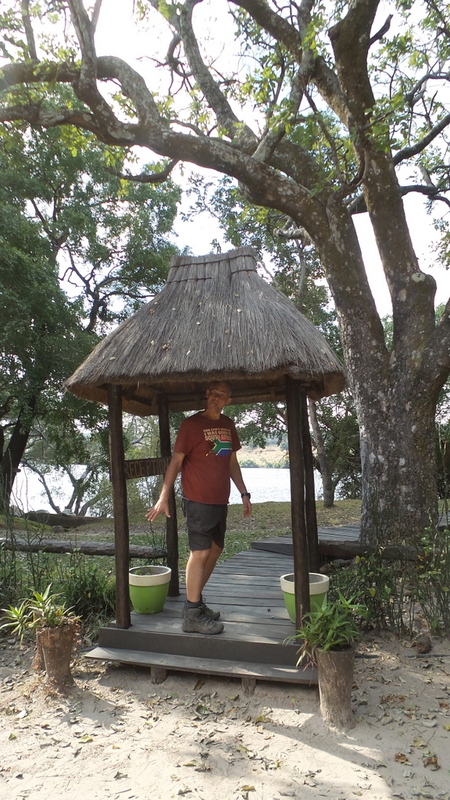 Upon arriving in Livingstone we first stopped at the High Water Mark Monument above the falls for a photo opportunity . Just a word of warning here , both Tracks 4 Africa and other sources show this as a high risk area for robberies and hi-jacking . 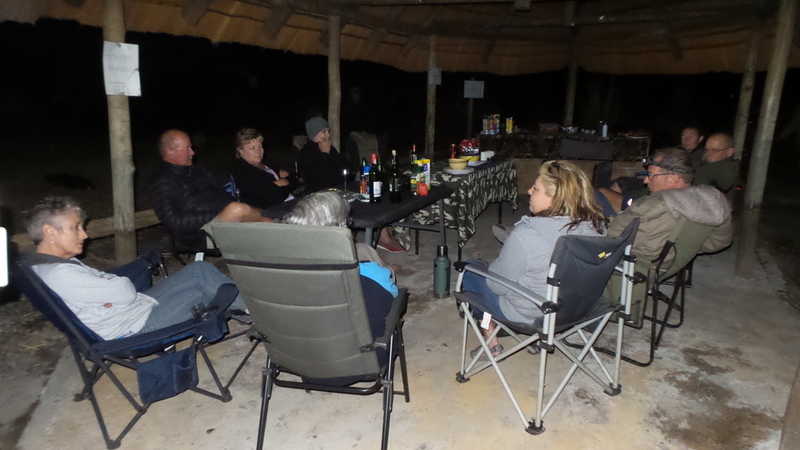 After this we headed to the Maramba River Lodge campsite , were we ended the night on a slightly different note for a change . 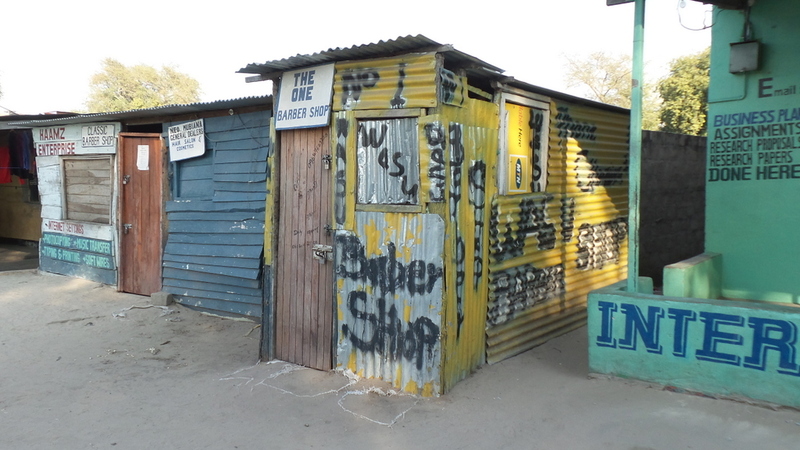 Some of the guys went across the border in Zimbabwe to go visit the falls , but we chose not to go , as we have been many times before and Mandy would have had to shell out 70 dollars for a visa because of her British passport. We heard later that Leon and Lindie took it a step further and went for a chopper flight over the falls . We chose to go do a bit of geocaching instead , and found one but not the other that were in the area . 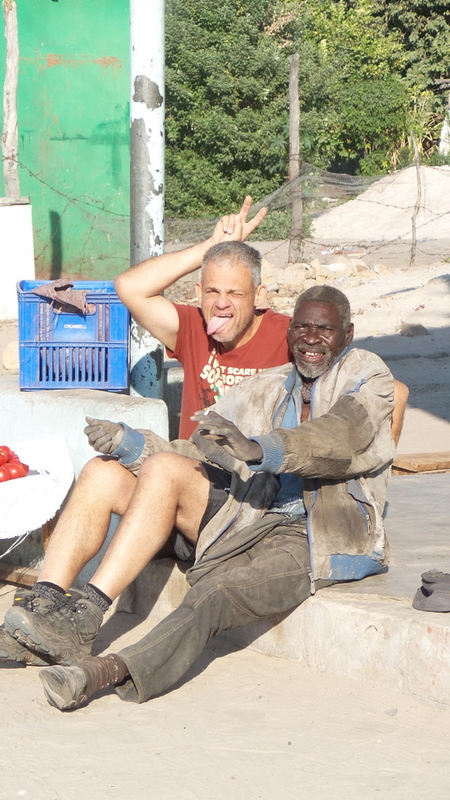 Surprisingly these 2 were the only ones in Livingstone . 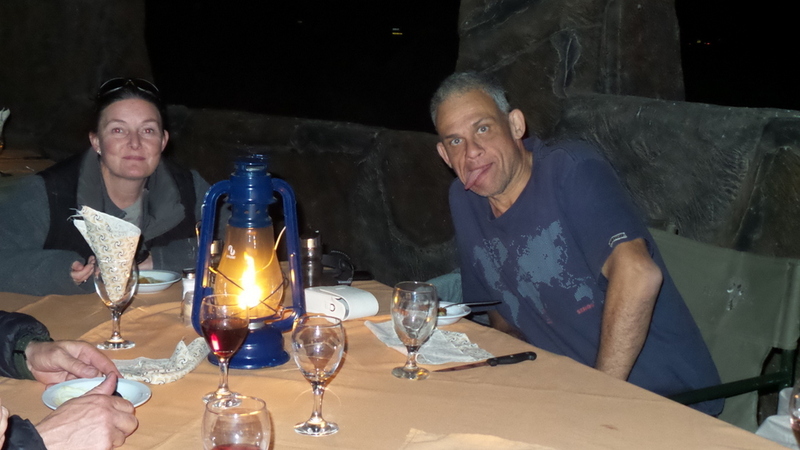 We bumped into Erik and Annatjie and went for drinks at the Royal Livingstone Hotel . Leon , Lindie and us decided that we wanted to head home fairly early as he needed to catch up with work and we were missing our poochies and also had a new rescue , Pablo waiting for us in kennels . 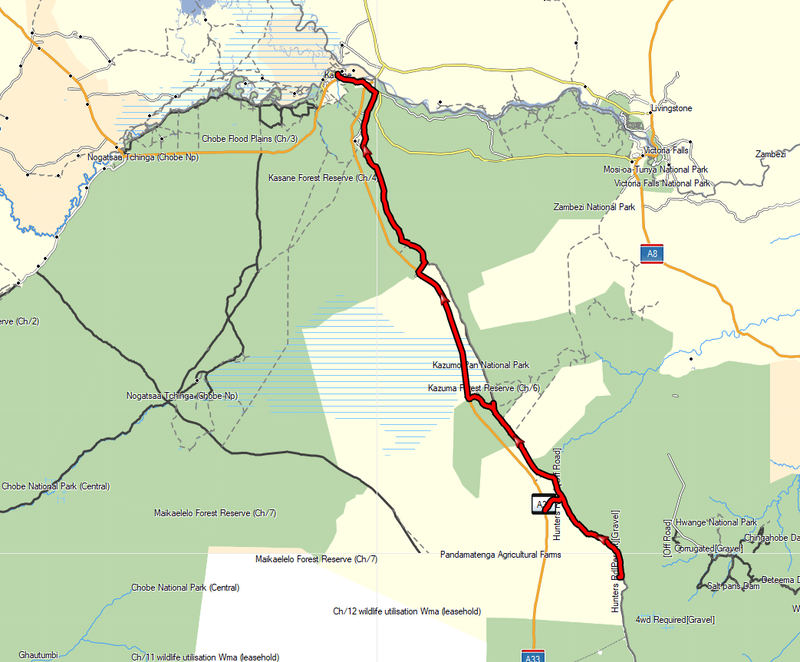 The idea was to make it at least to over the border the next day which would give us a short drive on Saturday , so we decided on an early night . The day ended on a high note with one of Annatjie’s famous fridge tarts . We left at 5 AM so that we could clear the border post and be on the first ferry out at 6. 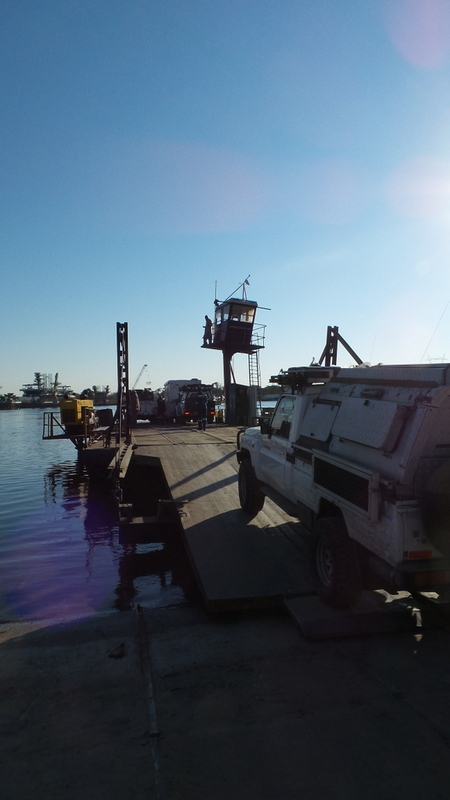 We cleared the Zambian border post just before 6 , and then waited for the first ferry which started late. 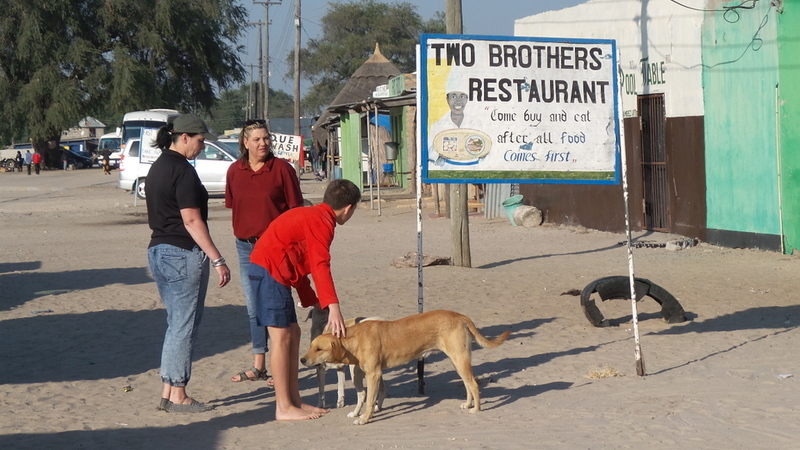 We were still on board by 6.30 and through the border quite quickly as well on the Botswana side . 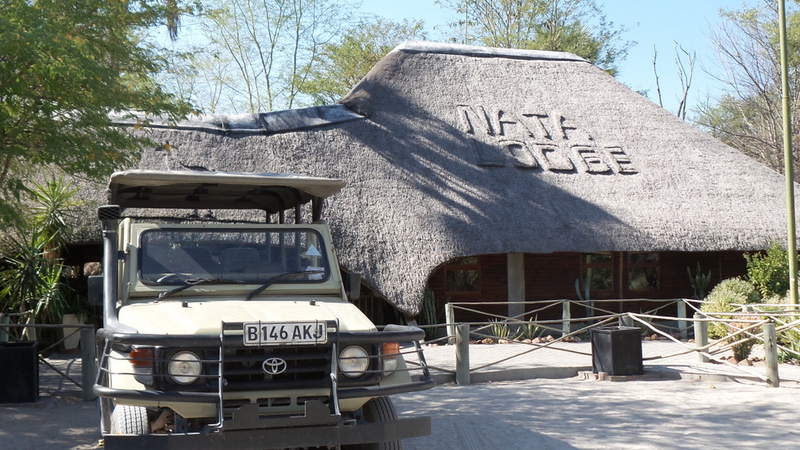 We filled up with fuel in Nata at around 10.30 , and had an early lunch at Nata Lodge. 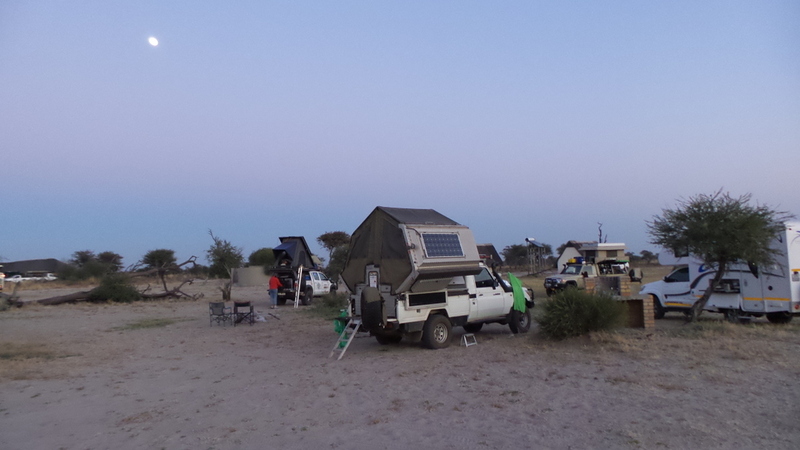 Because we had made such good time , we decided to press on home, and were quickly through the border on the Botswana side at Grobler’s Brug. 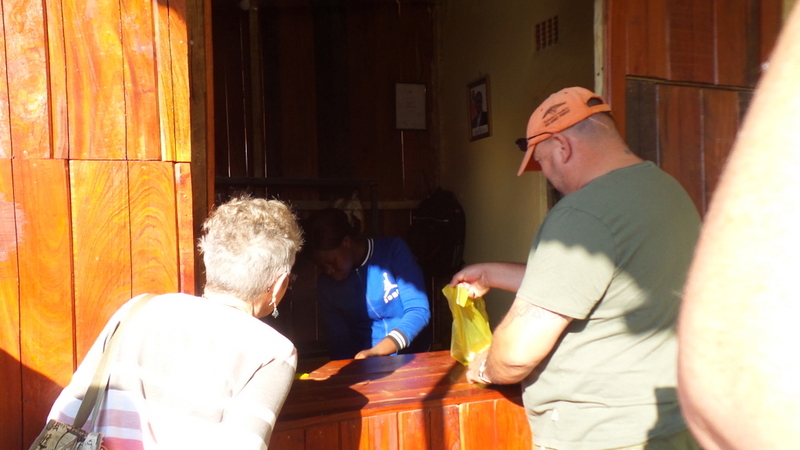 We had a bit of a wait on the South African side , but once through we said our goodbyes and made it home just past 11.30. Quite a long day , but it was nice to be home . In closing I would just like to thank our travel companions for an awesome trip filled with laughs and some great adventure. 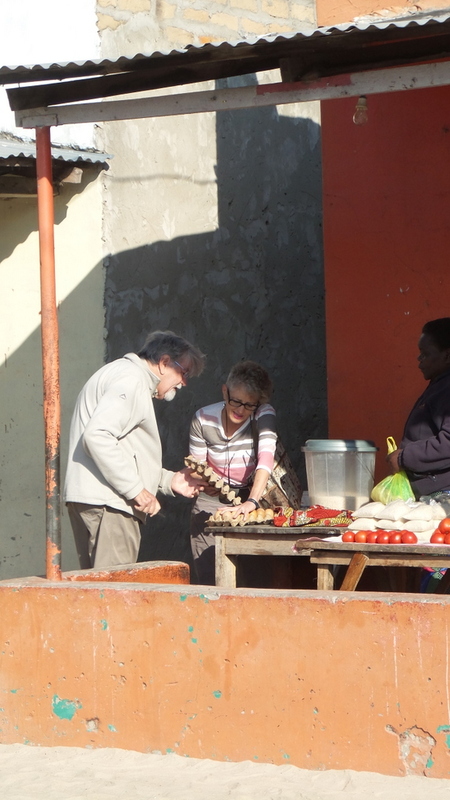 I would also like to compliment George and Marlene on a well organised and executed trip . We will definitely be back for more in the future . A wonderful trip Heine thanks for sharing ! Very pleasant trip and lots of pics to visualise the places. Thanks a lot. 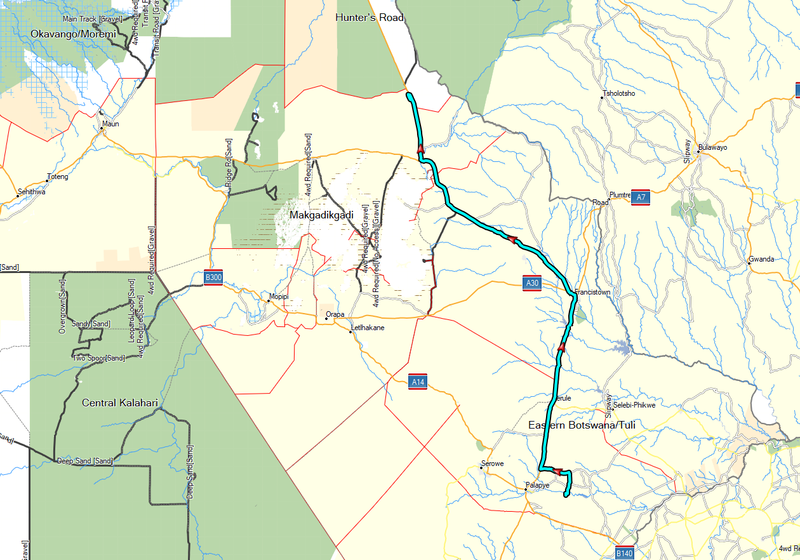 The Hunters road looks much wider than I expected south of Panda, & none of those border pillars? Yip the pillars are only down south , don’t know if it’s possibly provincial ?